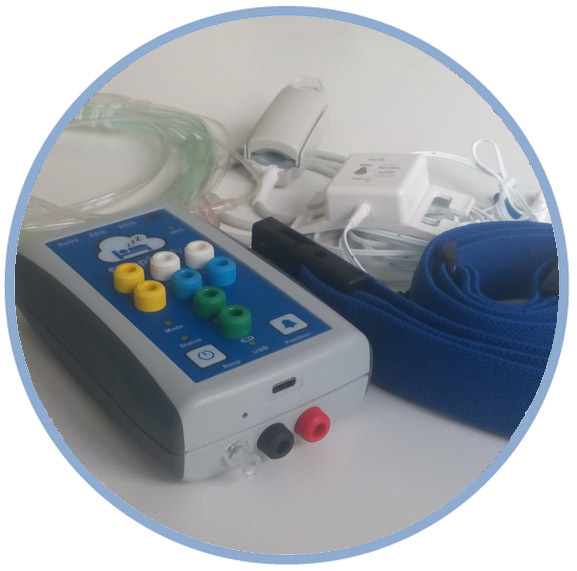 Sleep study equipment needs to be accurate, reliable and long-lasting to ensure every patient gets the correct diagnosis. But just tracking a person’s physiologic signs with precision isn’t enough. Equipment that is worn during sleep has unique requirements—it needs to avoid producing misleading results by interfering with rest. And because patients move and roll around during the night, it should be designed to avoid wires tangling or electrodes coming loose. SleepStudy’s versatile sleep monitors fulfill all these requirements. Our untethered devices have soft, comfortable sensors with no uncomfortable wires. They’re compact for easy storage, and portable enough to use anywhere, including in the patient’s own home. Get accurate, continuous data on an array of physiologic signs and view it on an app for correct diagnosis every time, hassle-free. Compact, all-in-one sleep monitoring system that can be used anywhere. 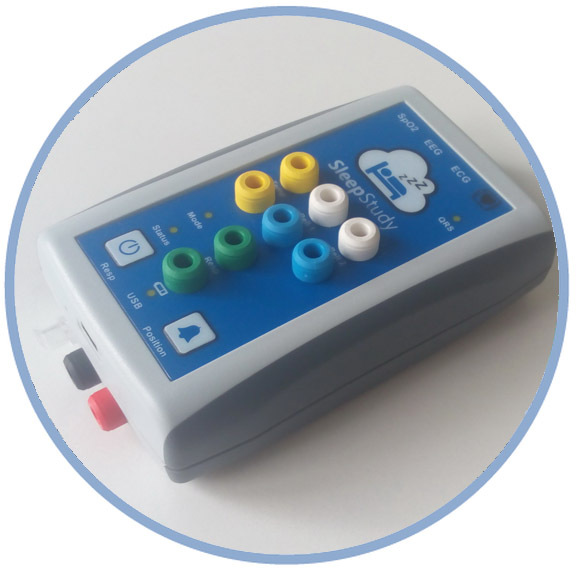 Wireless polysomnography with SleepStudy PSG is a complete 10-channel sleep system with state-of-the-art wireless hardware and PSG software for managing patient data, acquisition, scoring and reporting.